New regional adaptation strategies are being developed to help Kootenay and Boundary agricultural producers prepare for climate change. Farmers in the East Kootenay, Central Kootenay and Kootenay Boundary regional districts have been invited to participate in the strategies' planning process on Dec. 4, 2018, in Creston and Dec. 6, 2018, in Greenwood. The process brings together agricultural producers and specialists, along with local and provincial government representatives. Participants will learn about the latest climate change projections for the Kootenay and Boundary regions and will discuss the likely impact on agricultural production. Attendees will also brainstorm actions to help producers adapt to climate change impacts, such as extreme weather, drought, wildfires, excess moisture and flooding as well as the changing risks associated with pests, diseases, weeds and invasive species. 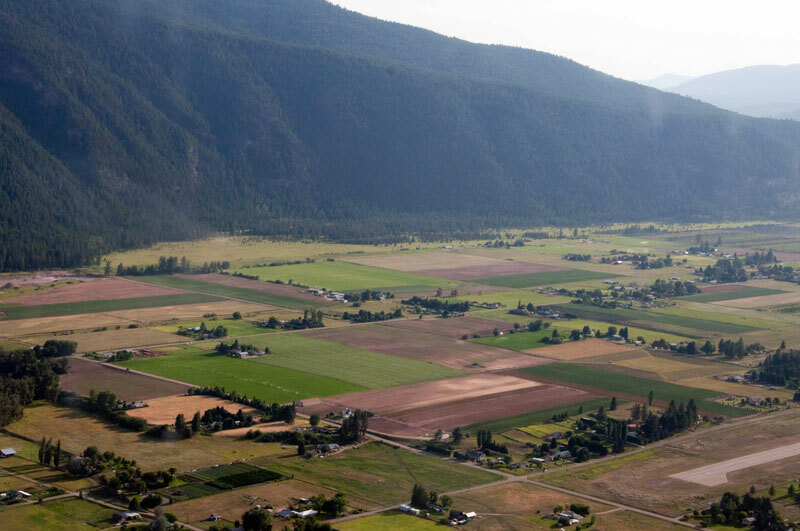 The Kootenay and Boundary regional adaptation strategies will be released in spring 2019 to guide the development and implementation of collaborative projects that support agricultural adaptation to climate change. The regional agricultural adaptation projects will be supported with $300,000 in funding from the Canadian Agricultural Partnership. The strategies are being developed through the $6-million Climate Change Adaptation Program funded by the federal and provincial governments. The program focuses on building resilience to climate change at the farm level and at the wider regional level, and will run for the duration of the partnership. The partnership is a five-year federal-provincial-territorial agreement that includes $2 billion in cost-shared strategic initiatives delivered by the provinces and territories, and $1 billion for federal programs and services through March 2023. The workshops are being conducted by the BC Agriculture & Food Climate Action Initiative. The BC Agriculture & Food Climate Action Initiative develops tools and resources to enhance agriculture's ability to adapt to climate change. The initiative has provided guidance and program management for B.C. 's agriculture sector climate change adaptation programming since 2008.